特許 権利維持 Short description is below, however, buyers should read all claims to see everything the patent covers. Short Description: The patent covers any system/platform allowing users to scan ANY two-dimensional code to transfer contact information. The two-dimensional code may be displayed electronically (i.e. smart device) or may be printed out (i.e. name tag at a convention). Contact information may include any combination of the following: name, phone number, email address, home/office address, and social media pages. This system makes the process of transferring contact information very quick and simple. No more need to manually enter information into a contact book, which takes time. No more need to ask the person you meet what his/her Facebook or Instagram name is. Through a simple scan, all that information will be transferred into your contacts list. And this patent gives you and whomever you license it to, the right to be the only person/company that may incorporate this system. 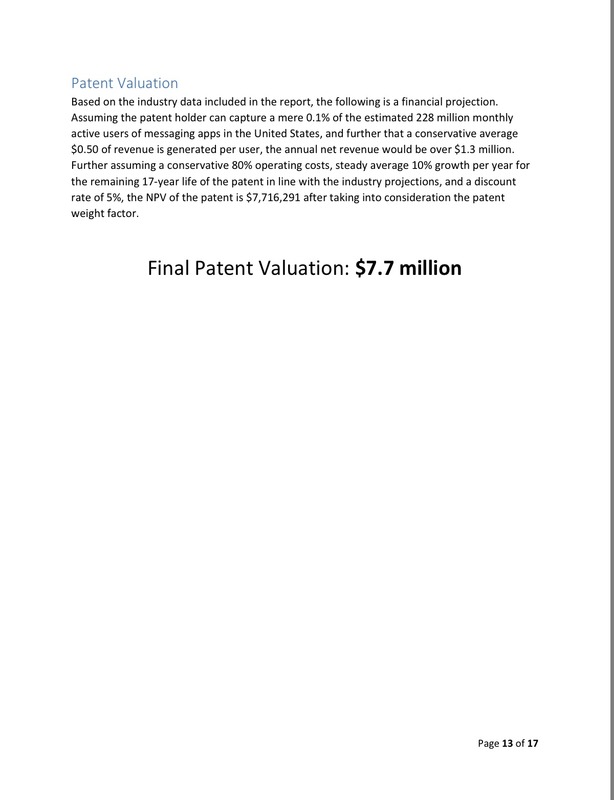 As mentioned previously, this description is only a part of what the entire patent covers, and buyers should read all claims, which are available on the USPTO site, to understand ALL points that are covered.